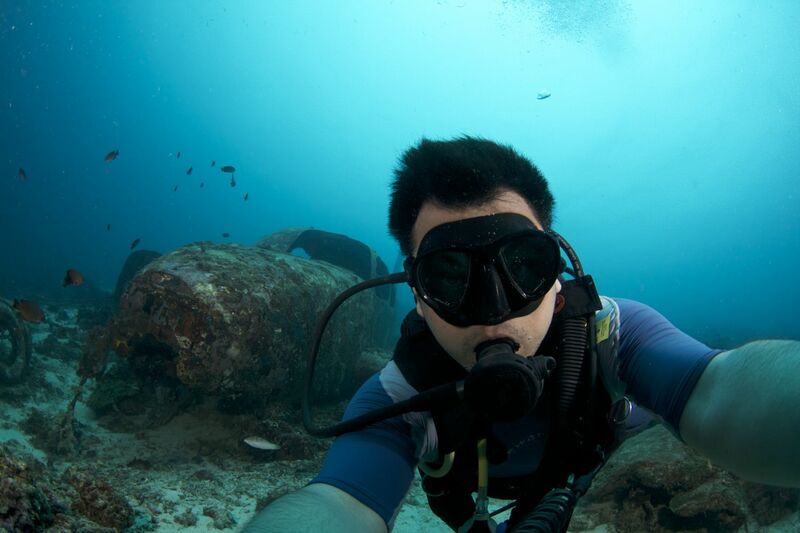 2013 was an awesome year for SCUBA Diving. And I don’t use the word awesome loosely. For one, I got to finally compete in an underwater photo shoot out in Cebu, flying there twice in a span of two weeks. Out of the several “memory card full” warnings, here are the 7 most memorable shots from last year. By memorable, I don’t necessarily mean the best — these are just the shots that left a lasting impression on my hobby. All photos were taken using a trusty Canon 350D. Wide angle shots taken using a Tokina 10-17mm lens and macro shots were done with a 60mm Canon macro lens. I shoot with two YS-110 alpha strobes from Sea&Sea. 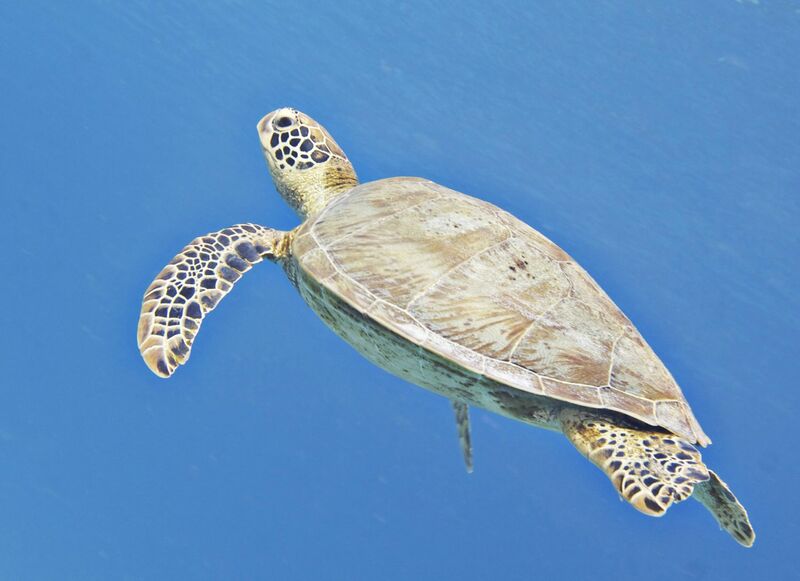 Back in April of 2013, my photo of a green sea turtle (Chelonia mydas) was featured in the roving exhibit for the 25th Anniversary of Tubbataha Reef. This was taken way back in 2010 but a call for submissions for the anniversary of Tubbataha had this photo chosen and printed for the exhibit. 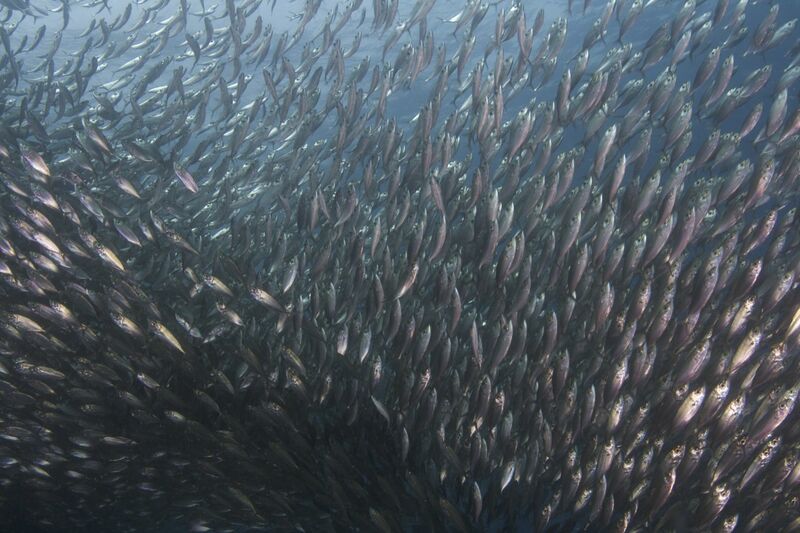 Who would have thought that there would be a million (++) sardines near the shores of Mactan? 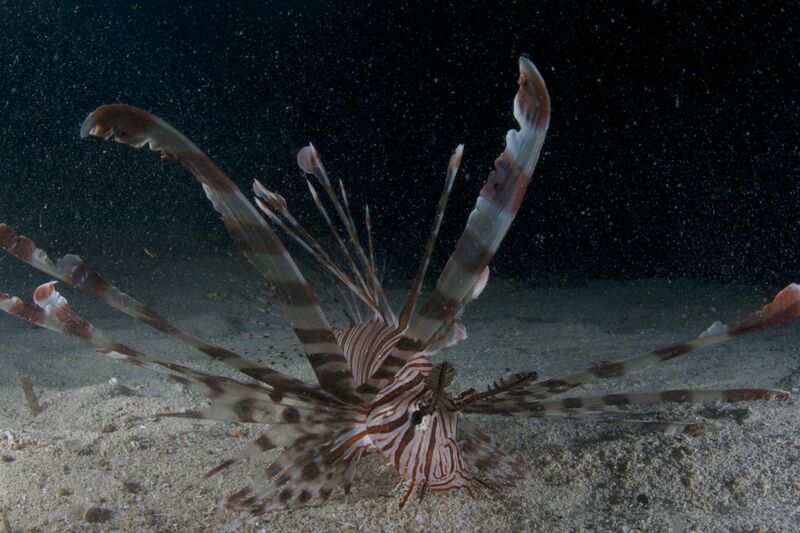 Cebu is one of the Holy Grails of SCUBA in the Philippines. I took this photo a week before the earthquake hit the island last year. Embedded by corals and sand near the shoreline of Mactan, the Tambuli Wreck is a sight to behold. 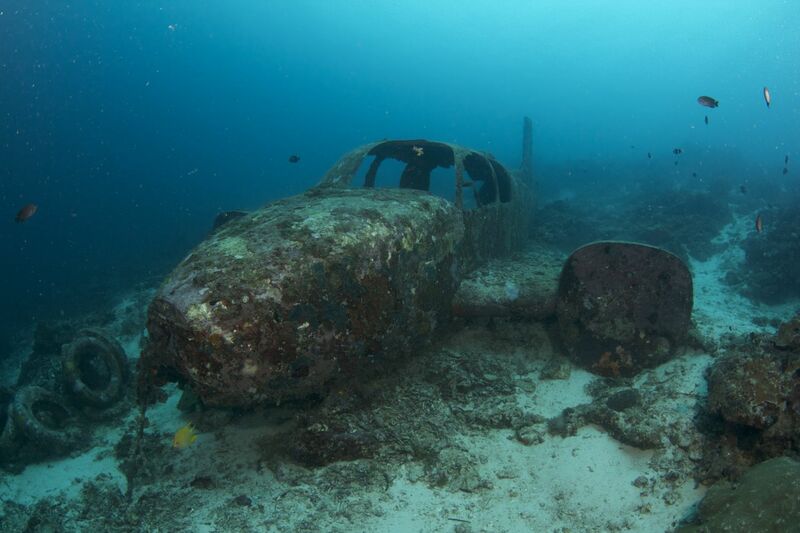 Getting there is a treat in itself — rich coral walls that open up to a sprawl with the plane as its centerpiece. This was my very first plane wreck! Patience. It’s the hardest thing to learn when you’re several meters deep down under and you’re running out of air. After several dives where I’ve resorted to taking photos for “documentary purposes,” as far as I can remember this is the first shot where I took my time and thought things through. I fiddled with my aperture to get the blurred background and focused on the rhinopores (antennae) of this nudibranch as it made its way to the top of a small rock, which allowed me to get very good leverage for this photo. 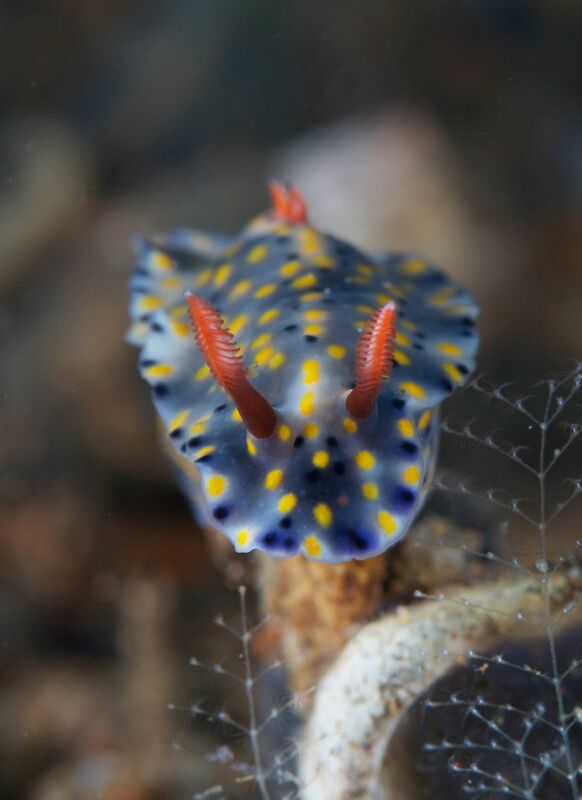 This photo won 4th place in one of our club’s NUDI Nights. I’ve seen photos with bad white balance and bad lighting make it to the finals in competitions like this, but it seems that bad composition — cropping to be exact is the first thing they look at. That’s because cropping is something you can actually control in a photo. ‘Great potential’ they said. ‘Out of the box’ too But bad cropping is the knave of these sorts of contests. 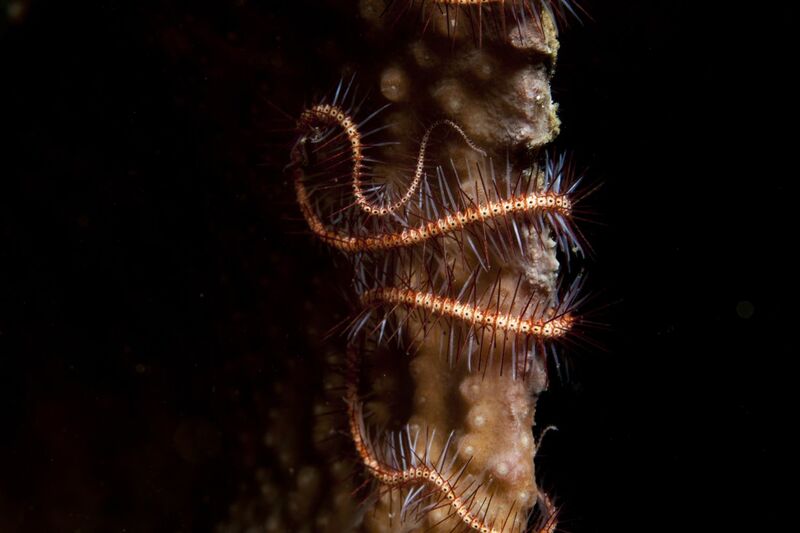 Coming soon to a collateral near you — the DENR / PAWB ‘Month of the Ocean’ contest chose this shot of a brittle star grasping on to a barrel sponge as one of the finalists.